Dried timber bamboo is often used for garden screening. It is important to know how to propagate timber bamboo if you want to fill your garden with bamboo or share your plants with friends. 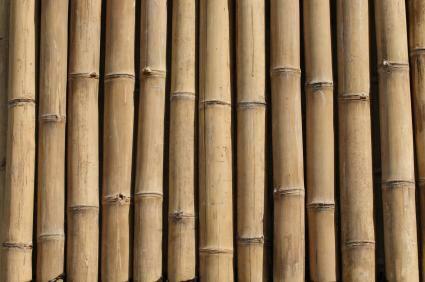 There are two basic types of bamboo: those that are strictly ornamental and those that are grown as timber. Timber bamboo is often harvested from the wild or from self-propagating stands of plants. It is used to produce bamboo fabric, building materials and other products. Just because timber bamboo is not considered ornamental does not mean it cannot be grown in the garden. There are many different varieties of timber bamboo, and they are as lovely as their "ornamental" counterparts. Timber bamboo tends to grow taller with a larger diameter than the more ornamental varieties. The color can range from green to yellow to almost black. You can see some of the many varieties of timber bamboo at Bamboo Garden. If you are going to learn how to propagate timber bamboo, you first have to have some of it on hand. You probably won't be able to find timber bamboo at your local nursery unless you happen to have a garden store nearby that specializes in bamboo. In addition to the timber versus ornamental division of bamboo, there are also two different ways that they spread: runners or clumps. Both ways of spreading are found in both types of bamboo, but the place where you purchase your bamboo plants should be able to tell you which kind of bamboo you have. Each type is propagated in a different way. The main thing to know about growing and propagating bamboo is that it has to be done from plants because bamboo seed is very rarely available. Some varieties of bamboo bloom relatively frequently, while some might only make flowers once in a human lifetime. Therefore you'll very, very rarely see bamboo seeds available for purchase. Once you figure out what kind of bamboo you have, it is pretty easy to determine how to propagate timber bamboo. Running plants are easy to divide because they spread through rhizomes that run along the ground. Plants can be divided by simply breaking the plant up between the rhizomes and planting a portion elsewhere. The rhizome alone can be planted, or you can do what's known as offset planting, which involves planting a rhizome along with a few inches of the bamboo stalk. This may produce a hardier plant and at least has some visible foliage, which is important to some people when establishing transplants. With clumping varieties of bamboo, it is a little more difficult to divide the plants because they are clumped tightly together rather than trailing more openly on the rhizomes. Most people prefer to propagate clumping varieties of bamboo by taking a portion of a bamboo stalk (usually with either two or three nodes on it) and planting that, either straight up and down in the ground or at an angle. One of the nodes on the stalk should be covered with soil and any leaves or branches on the stalk should be removed before planting. This method can also be used for plants that spread through rhizomes, if you prefer. Depending on the size of your initial planting, it may take five to seven years before you have a full, established screen of bamboo. Bamboo is not too much trouble to control in most instances. It is a grass, so one good way to keep it out of areas where you don't want it is to mow regularly. If the area you want to keep bamboo free can't be mowed, you can install plastic root blocking systems or be diligent in your pruning and removal of running rhizomes that are going where you don't want them. That way you'll have plenty of bamboo plants to share with anyone who want them.